MAKINDYE – Herbert Muhangi the former Commander of Flying Squad Police Unit has been re-arrested. Muhangi was rearrested on Tuesday afternoon by soldiers of Uganda People’s Defense Forces (UPDF) who picked him outside Court Martial Premises in Makindye and forced him onto military double cabin before whisking him away to unknown place. Sources privy have told us that the usual Chieftaincy of Military Intelligence (CMI) which had arrested him in June, 2018 is the one that has rearrested Muhangi again. In the Morning, Assistant Commissioner of Police Muhangi appeared before Court Martial Presided by Lt General Andrew Gutti who released him on a non-cash bail of 10 million shillings. Muhangi’s sureties were also bonded at 5 million shillings non-cash. Lt Gen Gutti had also restricted Muhangi’s movements within Kampala and Wakiso Districts. However, Muhangi has not been able to gain that temporarily freedom that had been granted by court. Muhangi is charged with other six officers including General Kale Kayihura and Col Atwooki Ndahura for offenses related to kidnap and failure to protect war materials. The prosecution contends that between 2012 and 2016 by omission and commission, Muhangi and his co accused aided and abetted repatriation of Rwandan Exiles, refugees and Ugandan Citizens to Rwanda. Some of these victims include Lt Joel Mutabazi , Jackson Karemera alias Ndinga and Sargent Innocent Kalisa. 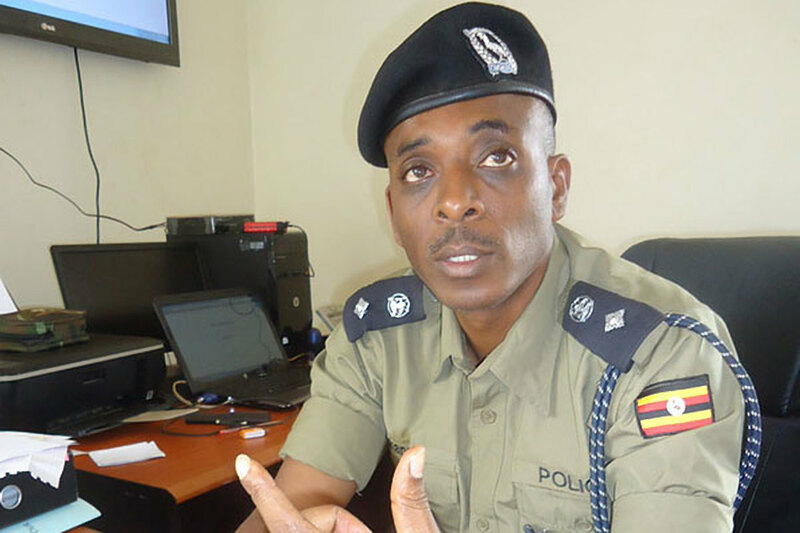 It is also alleged that between 2010 and 2018 the officers using their various positions in police allowed the use of fire arms to unauthorized persons like the members of Boda Boda 2010 headed by a one Abdullah Kitatta who is also in jail on separate counts of being in illegal possession of military hardware. Muhangi’s two of his co accused Col Ndahura and General Kayihura went home freely after being granted bail but Muhangi ran out of luck this afternoon. Muhangi who had been released to allow him seek medication, his bail had earlier been challenged by Major Wilson Nuwagaba an Operative from the Chieftaincy of Military Intelligence. In his affidavit that was tendered to court last week, Nuwagaba said that there is a likelihood that Muhangi will tamper with investigations which are still ongoing the moment he is released. Nuwagaba also alleged that Muhangi would also interfere with prosecution witnesses. His bail application was strongly challenged compared to his co accused Col Ndahura and Kayihura who have since been out on bail. The Deputy Army Spokesperson Lt Col Deo Akiiki said that he needed more time to verify whether Muhangi had been rearrested and on what charges. Cases of re-arresting persons released on bail have been more common in the civilian courts, as compared to the court martial.